Please note that the scheduled meeting planned for Wednesday 16th January 2019 has been cancelled. A wee reminder that Lodge Royal Braemar No. 1195 are holding a First Degree tonight. Lodge Royal Braemar No. 1195, Fintray, have moved their December meeting from Wednesday 19th December to Monday 17th December in order to avoid clashes with other equally important meetings. 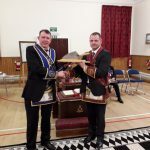 The Lodge intend working an Entered Apprentice Degree with a new candidate and also affiliate a Brother on the evening. 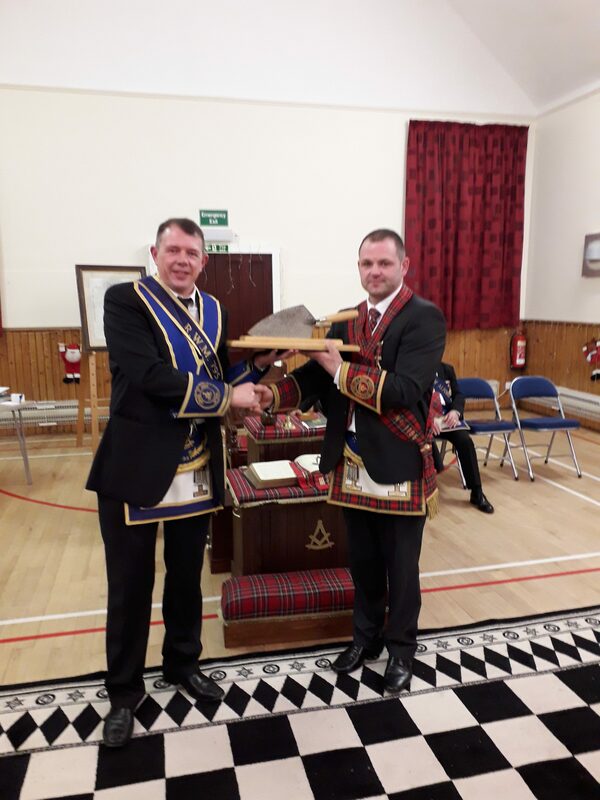 On Monday 3rd December a deputation from Lodge Royal Braemar captured the Travelling Trowel at Lodge St Anthony No. 154. The next regular meeting of Lodge Royal Braemar in Fintray is on Monday 17th December where all Brethren attending will be made most welcome.